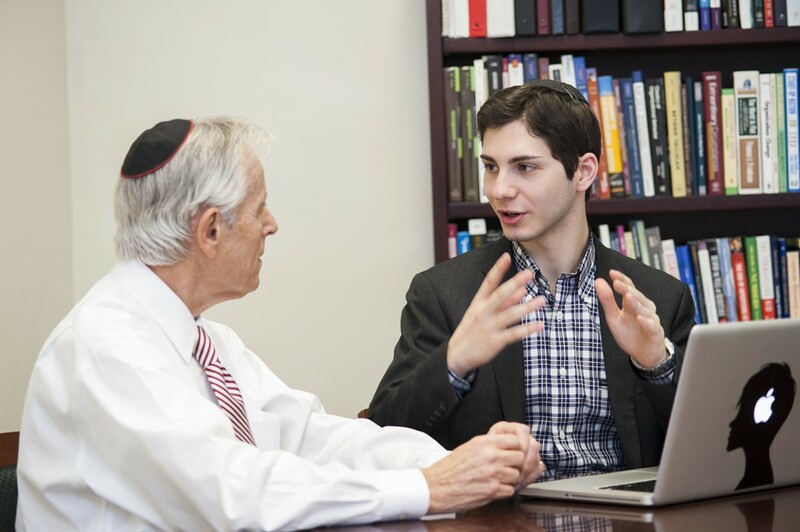 Adam Moisa was impressed by his first phone conversation with Michael Strauss, associate dean and entrepreneur-in-residence at Yeshiva University’s Sy Syms School of Business. Strauss called Moisa while he was studying at Yeshivat HaKotel in Israel to ask if he had thought of any business ideas lately. As it happened, Moisa had. He wanted to create an aggregate cloud storage program that would allow people to access all their online content stored on various cloud storage services—whether on Google, Dropbox, Box or other sites—through one simple, easy-to-use platform. Moisa knew it was a great idea, but he wasn’t sure exactly where to go from there. For two and a half hours, the two discussed how to take Moisa’s idea to the next level: from getting an accountant and a patent lawyer, to finding web developers and creating a spec sheet. By the time he hung up, Moisa had a clear plan to get his business off the ground and an in-person meeting scheduled with Strauss to talk about next steps over the Sukkot holidays. And Moisa wasn’t even enrolled at YU. With Strauss’s guidance, Moisa started work on Cloudifyd, the idea he discussed with Strauss in that initial phone call. Strauss put him in touch with professional contacts in the field and Moisa also turned to his classmates as he assembled his team: students like Ronan Weinberg Waks from Argentina, a web developer—“He’s a whiz at back-end and server-side coding, very talented, a member of MENSA”—and a marketing student, Doron David, who will act as his manager and already has experience in the field. Moisa is paying that time forward. 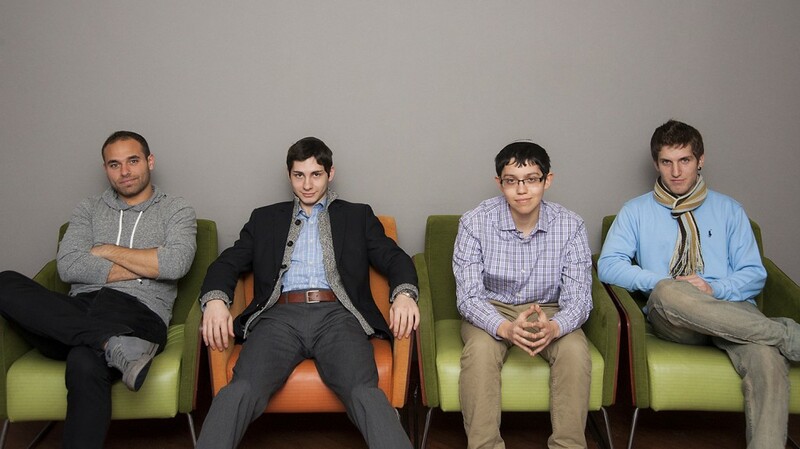 Only in his first semester as a finance major and computer science minor at Sy Syms, he founded a club, Suits Optional, to guide other students along their own entrepreneurial journeys. “It’s called that because you don’t have to dress up for an interview when it’s your own company,” Moisa said. Through step-by-step meetings, students in the club transform startup ideas into full-fledged business plans with betas and mock-ups. Each meeting focuses on honing and understanding the roles of different skills in a successful business: scalable creativity, patent law, graphic design, coding. Moisa tapped the same professionals working with him on Cloudifyd to speak at the sessions, as well as successful alumni. At the final meeting, students will pitch their plans to VCs and angels for the chance to secure an investment. “By now I’ve already learned a lot of the tricks of the trade, so I can work with people who bring ideas to me, help them get to a certain level and then we turn to Dean Strauss and say, ‘Now what?’” said Moisa. Doron David, Moisa, Jordan Schiff, and Ronan Weinberg Waks work together on Cloudifyd, an aggregate cloud storage program. He gives students in his club the same advice he gives anyone who wants to learn to think creatively: “Be miserable. Be totally miserable about everything that functions. What’s the point of the thing you’re using? Could it be better? Think about the escalator. Someone invented that because they were annoyed with stairs.” This is the thinking behind several of Moisa’s other current projects, like Tickfinity, a program allowing season and package ticket holders to pool their seats, and Syncal, a full-day view visual calendar with social media feed and database integration.